At present plants continuously bare to various environmental stresses due to the rapid climate change that adversely affects the growth and nutrient status of the soil and plant. Application of flyash (FA) in combination with potassium (K) fertilizer amendment improves soil physico-chemical characteristics, growth and yield of plants. 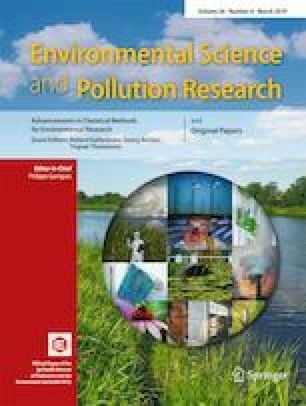 Mustard grown in combination with FA (0, 20, 40 or 60 t ha−1) and K (0, 30 or 60 kg ha−1) treated soil was used to evaluate the effect on heavy metals (Cd, Cr and Pb) concentration and antioxidant system. The experiment was conducted in a net house of the Department of Botany, Aligarh Muslim University, Aligarh. Sampling was done at 70 DAS. The results showed that concentration of metals was found maximum in roots than the leaf and seeds. FA60 accompanied by K30 and K60 cause oxidative stress through lipid peroxidation and showed reduced levels of photosynthesis and enzymatic activity. Proline and ascorbate content increases with increasing flyash doses to combat stress. However, flyash at the rate of 40 t ha−1 together with K60 followed by K30 significantly boosted crop growth by enhancing antioxidant activity which plays a critical role in ameliorating the oxidative stress. The author Farha Ashfaque gratefully acknowledges the award of Junior Research Fellowship by the CSIR-UGC, New Delhi with Ref. No. 660/(CSIR-UGC NET DEC. 2016).